Even with a cold morning we had a large turnout at Petra’s. 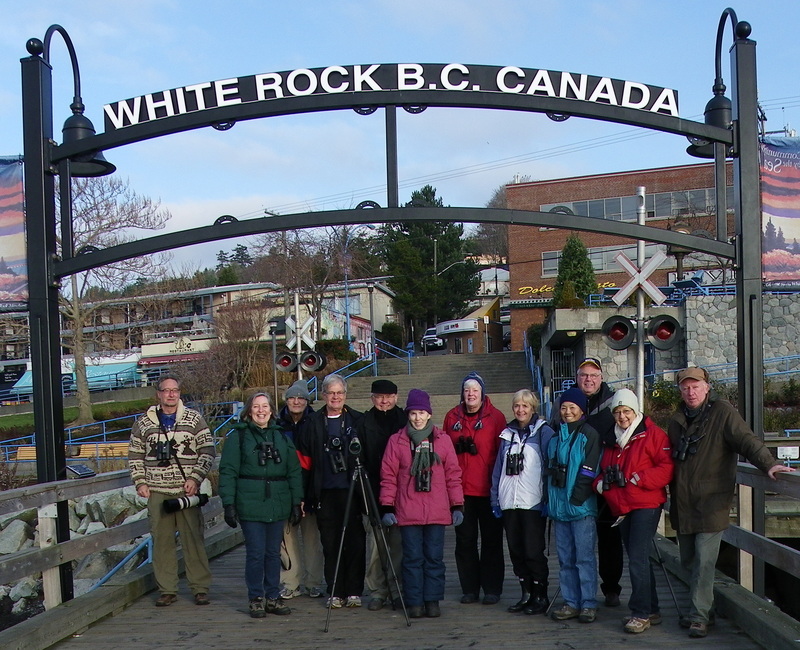 Without our leader, Tom (we had fun coming up with imaginative excuses he may have had for abandoning us…we won’t print Hans’s winner), we decided to drive directly to the White Rock pier hoping to see a variety of sea birds. 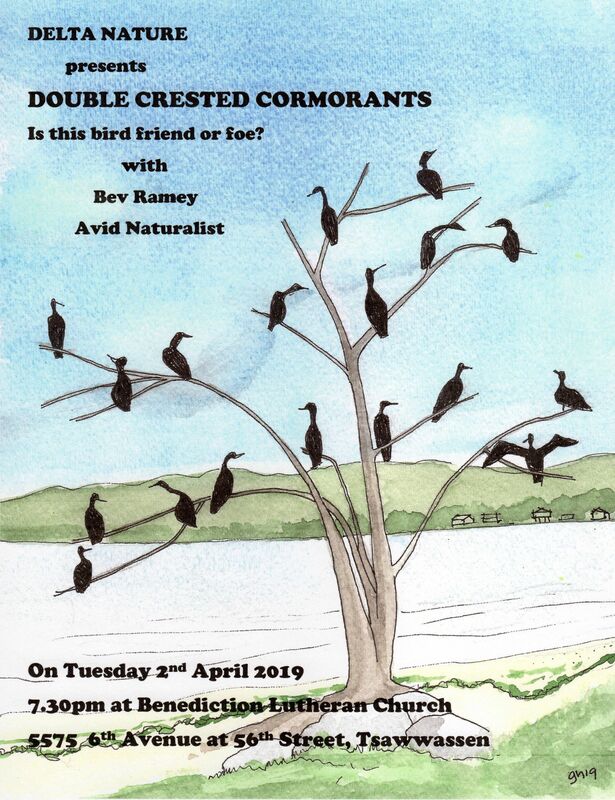 Those taking part included Kay, Hans, Chuck, Marion, Kathleen, Terry, Peggy, Mike, Roger, and, thankfully, Anne M whom we needed for identifying the difficult plumaged birds. Arriving at the pier some of us paid for parking although it wasn’t (we find out later) required until 10:00am. No names mentioned. There we met Anne A and Ken, who live in Surrey, and proceeded out over the water. Fewer birds than expected were seen but included: Horned and Western Grebes, White-winged and Surf Scoters, Greater Scaup, Buffleheads, Long-tailed Ducks, Common Loons (in the far distance), Double-crested Cormorants, a Pelagic Cormorant, seen from above, swimming under us, various gulls including a relatively uncommon Western. 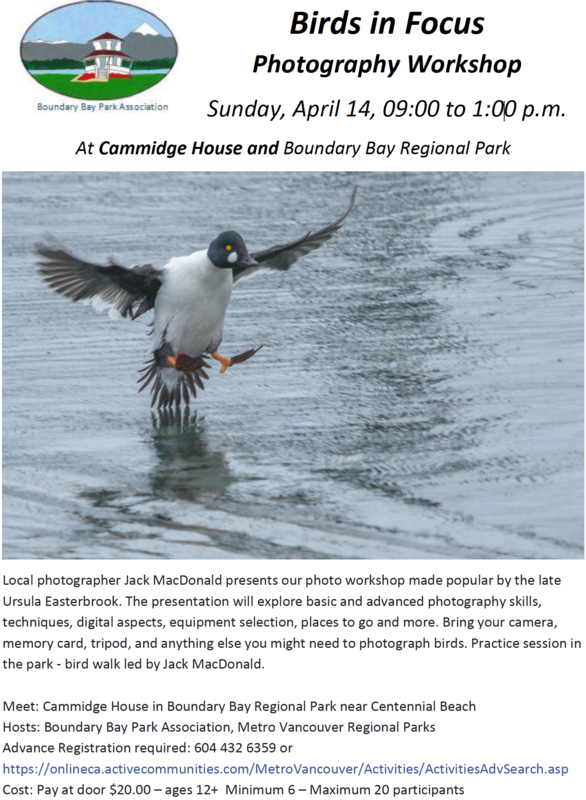 We spent some time working on identifying the various plumages of the juvenile and female Scoters and Scaup. Having exhausted White Rock we moved on to Blackie Spit where the high tide had forced the water birds to the upper shore line. 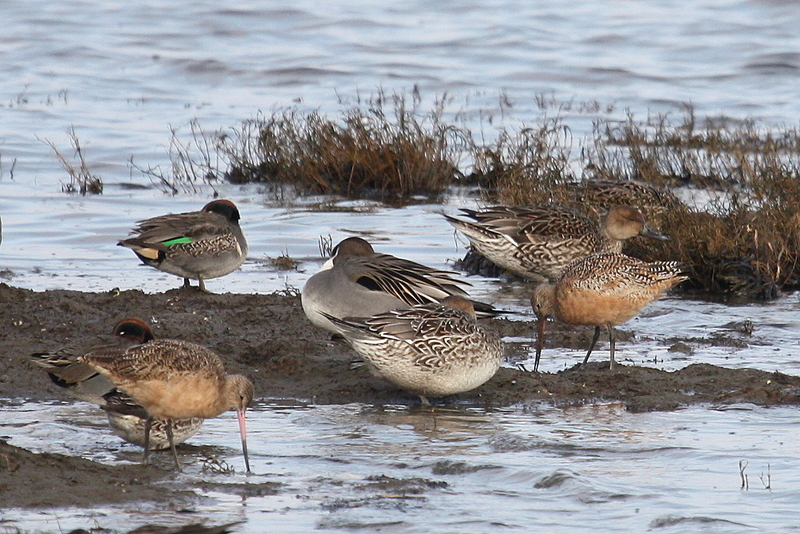 Here we found large numbers of American Wigeon, with a few Eurasian. Terry found one exhibiting hybrid characteristics of the Eurasian and American. 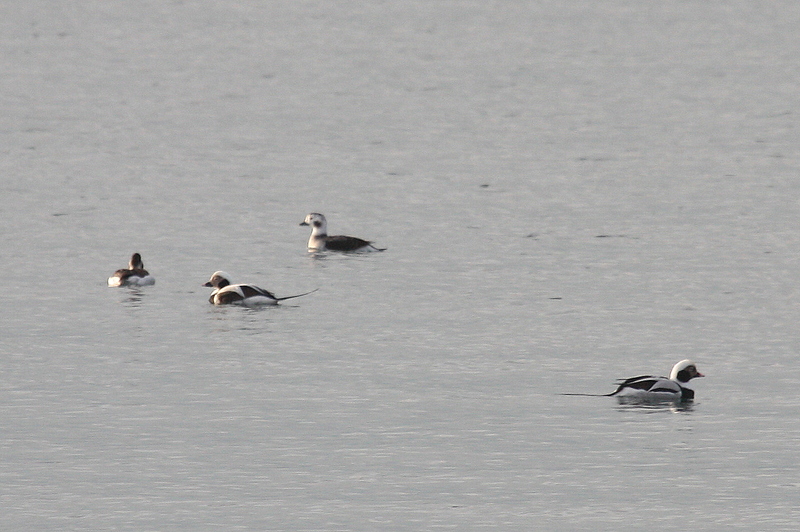 There were lots of Pintail, Green-winged Teal, Mallards, Double-crested Cormorants and three Marbled Godwits and some several Western Grebe. A few Greater Yellowlegs were at the far west end of the waterway to the south. 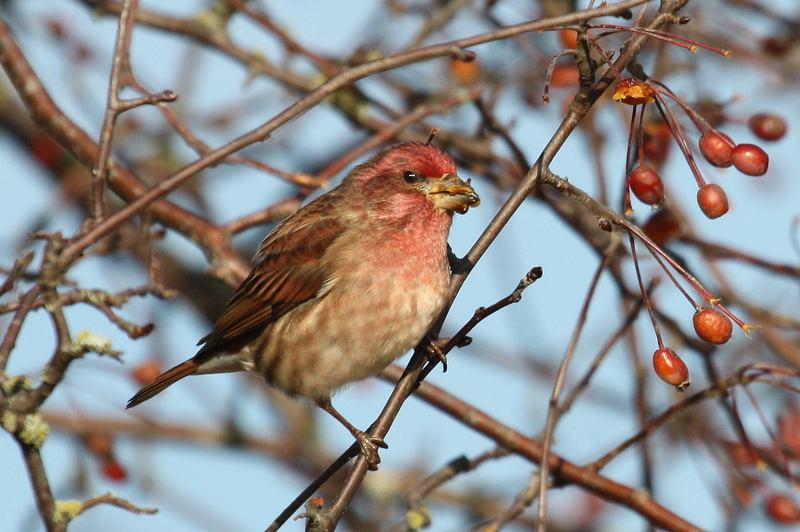 In a Crab Apple tree we sighted a number of what we thought were House Finches but were actually Purple Finches. We spent some time observing and learning from Anne how to separate the two species, something most of us always have difficulty with. 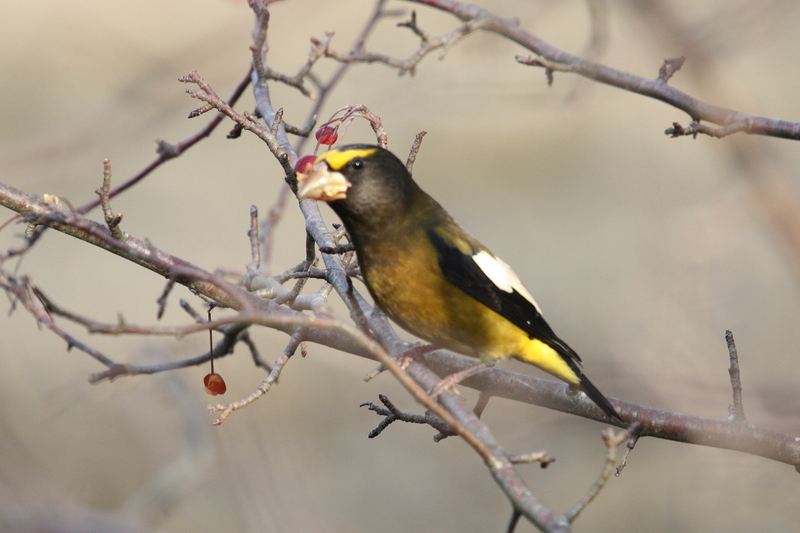 A highlight was the sighting of a small group of Evening Grosbeaks feeding on Crab Apples. Terry managed to get photos of them, including a beautiful male, with perfect lighting. 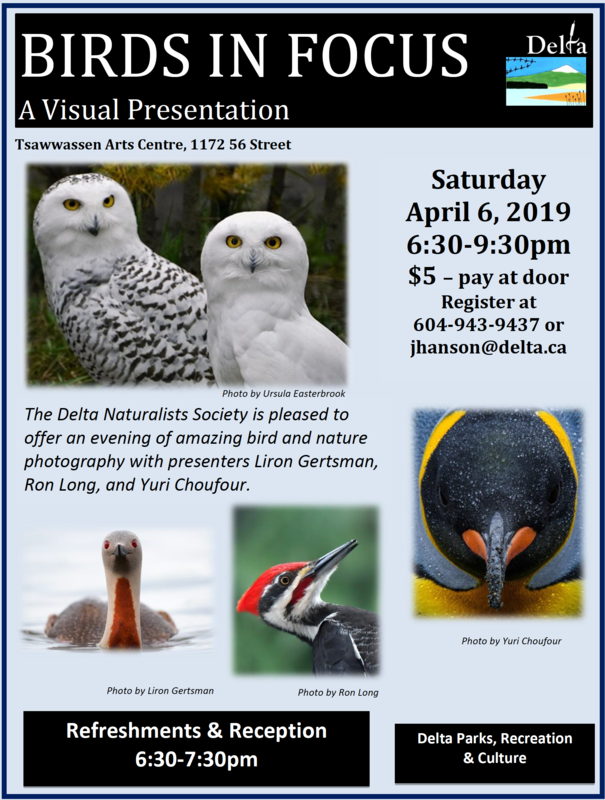 What was exciting was that very few Evening Grosbeaks have been seen in recent years where in the past large flocks were common in the winter months on the lower mainland. At one point, at the spit, Anne drew our attention to the quiet, calm, and relatively unhurried feeling of the trip and we were unable to account for the difference. We’ll have to ponder that one! Looking out to the north from the parking lot we saw some small groups of Common Goldeneye, Red-necked Grebes, a few more Long-tailed Ducks, a few Common Mergansers flying by, and a few more Common Loons. 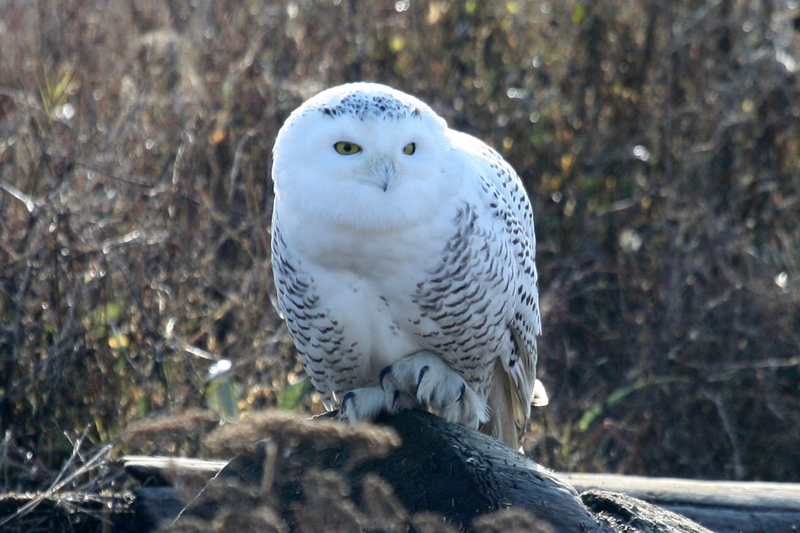 At this point, Ken and Anne left us and we decided to head to 72nd since a few of us hadn’t seen the Snowy Owls yet. We had great success there with Hans counting fourteen with one only 20 meters off the trail affording great photo oportunities. Also, on the farm side of the trail two Short-eared Owls were patrolling and occasionaly interacting with the Northern Harriers. 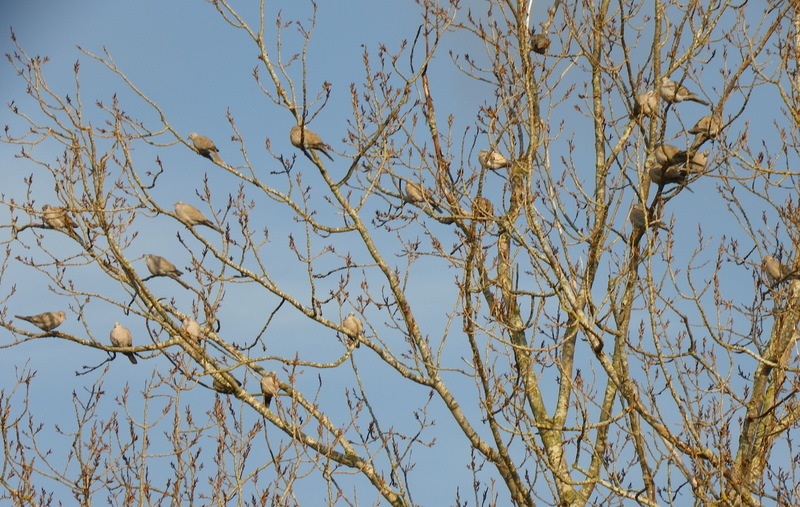 Driving back along 72nd we sighted a tree with more than twenty-one Eurasian Collared Doves and many more on the wires above (Double-click on the photo to enlarge it). A very productive day, and the sun had come out making it a very pleasant experience. Stay tuned for an announcement from Tom regarding plans for next week and a possible change of meeting time at Petra’s. 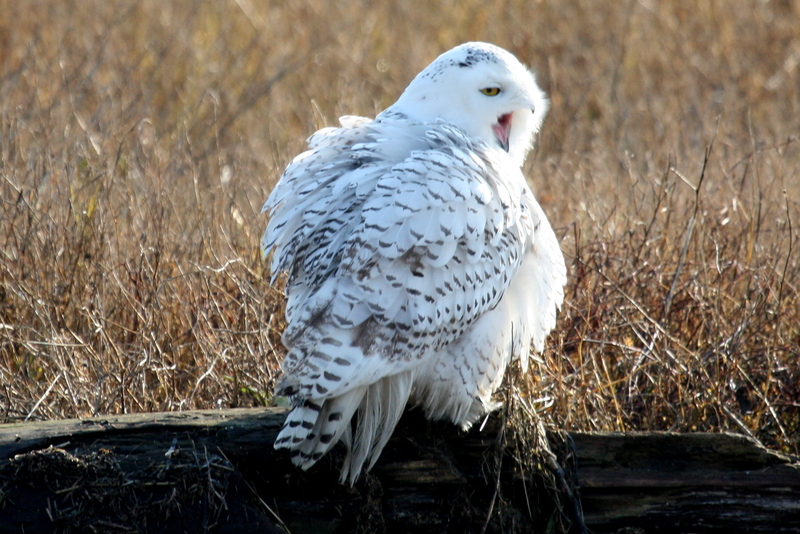 This entry was posted in *DNCB, 72 Street, Blackie Spit, Boundary Bay, Snowy Owl, White Rock Pier. Bookmark the permalink.